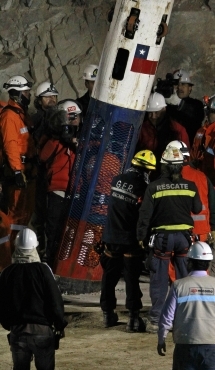 All 33 miners, trapped in a mine in San Jose, Chile for nearly ten weeks, were brought back safely to the surface on Wednesday by a rescue capsule. Immediately after their rescue, all the 33 miners were sent to medical examination and treatment at a nearby Copiapo hospital. According to reports, some of them are expected to undergo surgery soon. Emotions ran high not only at the San Jose Copper-Gold Mine where the kin of the miners gathered to welcome the men back, but also across the world as the recue operations were closely watched across the globe. 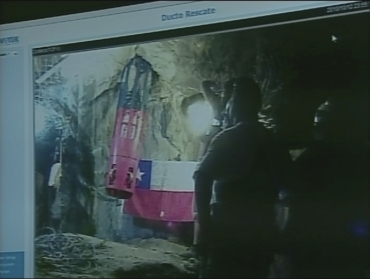 A single ringing bell and a roar of delight from exhausted rescue workers signalled the moment on October 9, when a 2,067ft shaft broke through to the 33 Chilean miners who have been trapped for 69 days. The miners' first reaction was 'what took you so long'. "What the hell took you so long?" the Daily Mailquoted the miners saying to the rescuers. 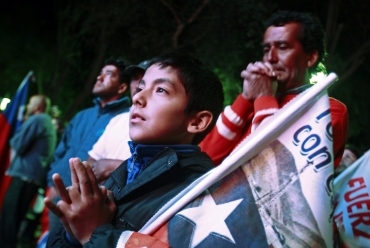 There was jubilation among their families at Camp Hope, the makeshift village near the minehead in the Atacama Desert. "This is the greatest moment of my life. After more than two months, my brother has come home safe. 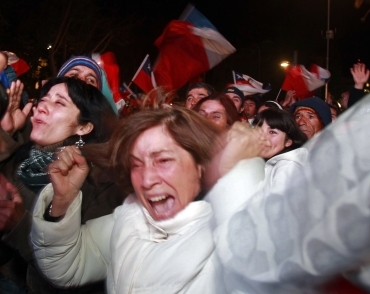 Viva Chile! We have waited so long for this day. God be praised," one of the miner's relatives said. In the hours before the breakthrough, nervous family members, many in tears, gathered around a small television in Camp Hope's canteen to watch live pictures from the minehead. At the moment of breakthrough, rescuers reportedly began jumping up and down in delight, a bell was rung and exhausted relatives collapsed into each other's arms. "My emotions are overwhelming me. It is like my son has been born again," one miner's mother said. Speaking about the rescue process finally starting, Pinera said, "It is a proud moment for us". The miners had been initially feared dead after the copper and gold mine collapsed in early August. After 17 harrowing days of being trapped underground, authorities finally realised that the miners were alive. 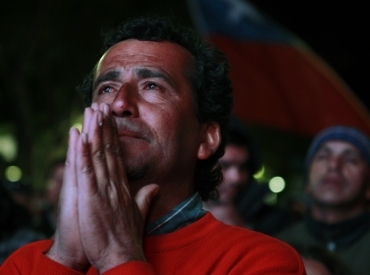 The Chilean government has since then started a massive and highly-publicised rescue operation. The miners are believed to be in remarkably good health, although some have developed skin infections. They had reportedly started a regime designed for fighter pilots to prepare them for their ascent to the surface, and were provided with $450 sunglasses to protect their eyes from the sunlight when they reach the surface. The rescue workers managed to extend lines of food, water, oxygen, entertainment and communication to the miners. But the men have described the stifling conditions inside the mine as 'hell'. The family members and friends of the trapped miners have maintained a vigil outside the mine site, praying for their safety. According to NASA experts, the miners' ordeal won't be over even after the end of the rescue operation, as they might face the greatest challenge of coping with the psychological effects after spending months below ground. They described it as "astronaut syndrome". 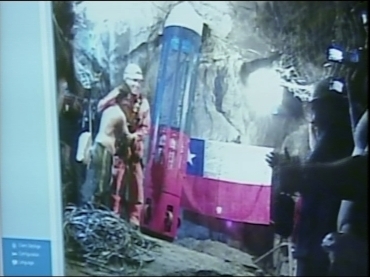 'Like astronauts these men have endured a prolonged period in a small enclosure away from their normal atmosphere but in the miners' case they have not the exhaustive training and preparation,' Dr Polk, who is advising the Chilean authorities, said. 'They are going to have a lot of things thrust at them when they get out, a lot of press attention, dealing with family issues and such things thrust upon them very immediately, they will need help to readjust to society. Some could well suffer from post traumatic stress type disorder,' he added. NASA, which is responsible for Chile's civilian space, earlier turned down requests for alcohol and cigarettes made by the 33 trapped miners. A NASA doctor, however, agreed to provide them with nicotine patches to get them through their ordeal. According to a report, some of the miners were dependant on alcohol before becoming trapped and were experiencing withdrawal symptoms weeks after being cut off from the outside world. Meanwhile, the miners have called in a lawyer to draw up a contract ensuring they will equally profit from the lucrative media deals they expect to secure for sharing the story of their two month survival in the hope that they never have to work again. They have already rejected requests for interviews and have instead made plans to jointly write a book, The Telegraph reports. One of the miners wrote to his wife about the details of the discussions between the trapped men. "We have received offers to be filmed and interviewed by national television. But we didn't accept because we are going to form a foundation and all our daily experiences during our time down here will go into a book and other projects," Yonni Barrios wrote.